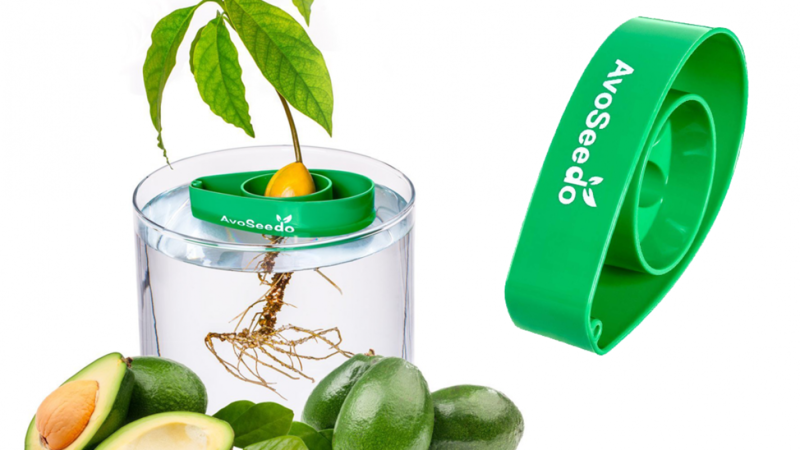 If you love avocados you will love this inexpensive kit because you can use it to grow an avocado tree. Avocados taste great and are a really useful ingredient in the kitchen. You can use them to make guacamole, dips, dressings, salads and much more. A lot of people enjoy avocado on toast for breakfast, it can be be used for lunches, special occasions or dinners. Growing your own tree will definitely be worth the effort because you can easily use the avocados that you will grow. 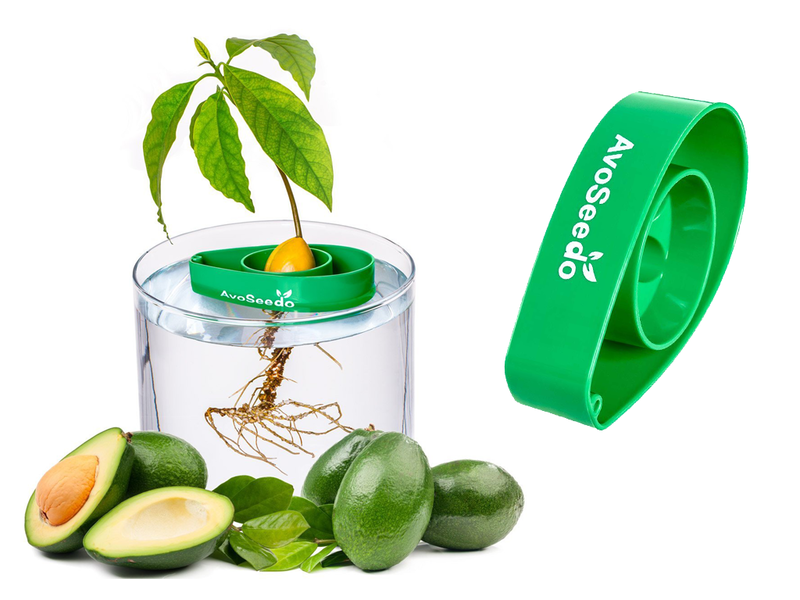 It takes three to six weeks for an avocado seed to germinate. This is not a difficult tree to grow it just takes some time. The time your seed take to germinate differs because of variants such as temperature. About 90% of seeds do grow so with this kit you should be successful. This kit comes in a variety of colors so you can choose your favorite. It is very easy to use or for a beginner. Simply peel your seed and place it in the Avoseedo because that is all you need to do. Follow the instructions on the packaging and your seed should germinate. Once your tree is about 20cms tall you will need to plant it in prepared soil. This is because it will need room to grow and nutrients. Avocado is a very nutritious superfood because of it's nutritional value. If you have a family feed this is a great tree for you to grow.